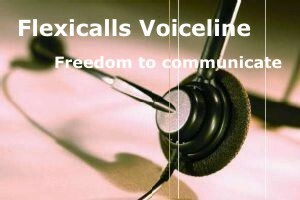 With Flexicalls Voiceline, you can choose a phone number that meets your needs. When someone calls your number, Your phone rings wherever in the world you have your Voiceline service connected. You can select any of the area codes from the list below for your Voiceline phone number. You can even have a toll-free number so others can call you for free. Anyone in the United States, including Alaska and Hawaii, can call you for free. Anyone in England, Scotland, Wales, or Northern Ireland can call you for free.